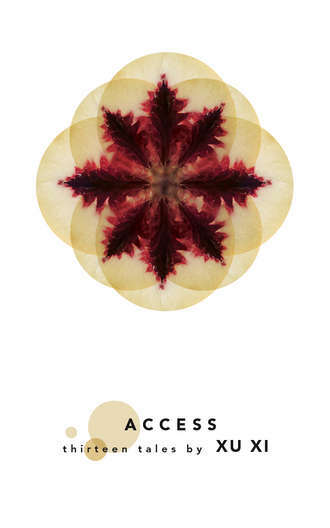 November 15th marks the print release of Access (Signal 8 Press, 2011), Xu Xi’s new collection of thirteen stories. It came out as an e-book on November 1, so that’s what I read last week. Each story is unique, but they all have one common theme–desire. Most feature a strong female protagonist, although two of my favorites center around men. The stories take place all over the world, from New Zealand to Hong Kong to Sweden to New York, with characters from an even wider mix of backgrounds. It’s difficult to choose a few of the stories to summarize here because they are all so engaging and memorable. The following three stand out the most to me. Servitude is one of my favorites. It’s an endearing story of a devoted Hong Kong office worker and his aging boss. At first glance, their relationship appears to be a standard employee-employer one. But as the story progresses, we learn there’s more at stake–for both the employee Chung and the boss Mr. Suen. I really like how Xu Xi is not afraid to end on a sad note. And then there’s Access, the charming tale of a woman named Elna who deposits $1500 into a new account while worrying about her aging mother. Part Portuguese, part Lebanese, and part Chinese, Elna notices that her balance grows exponentially each time she checks the account. After many days, when she tries to withdraw her money, she learns the meaning of want and appreciates what she already has. The last piece in the collection is so haunting that I couldn’t end my review without mentioning it. Lady Day is the story of a boy who is bullied in boarding school. Years later he plans the ultimate revenge on his unsuspecting tormenters. The thirteen stories are organized into five sections: tall tales, circular tales, fairy tales, old wives’ tales, and beastly tales. Servitude is a circular tale, Access a fairy tale, and Lady Day a beastly tale. I highly recommend the entire collection and all of its tales. Wow, this sounds very good! Thanks for the review! Thanks so much, Amy! She has such a great range of stories in this book. I had the very good fortune to interview Xu Xi about “Access”, and I have to agree – it’s a great book! Stuart, thanks so much for all these great links!! I’ve been a big Xu Xi fan for years, so am always excited to read her new work–and to hear more about it!